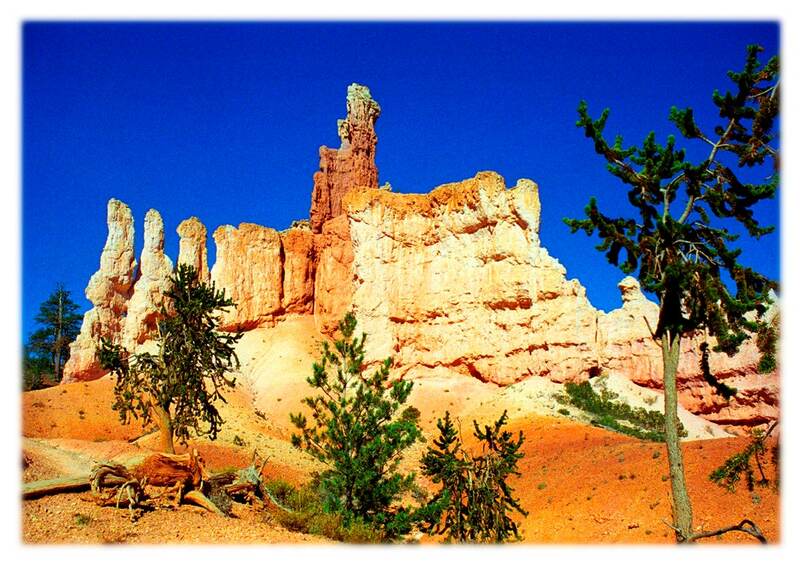 Bryce Canyon is famous for its unique collection of rock formations called hoodoos. 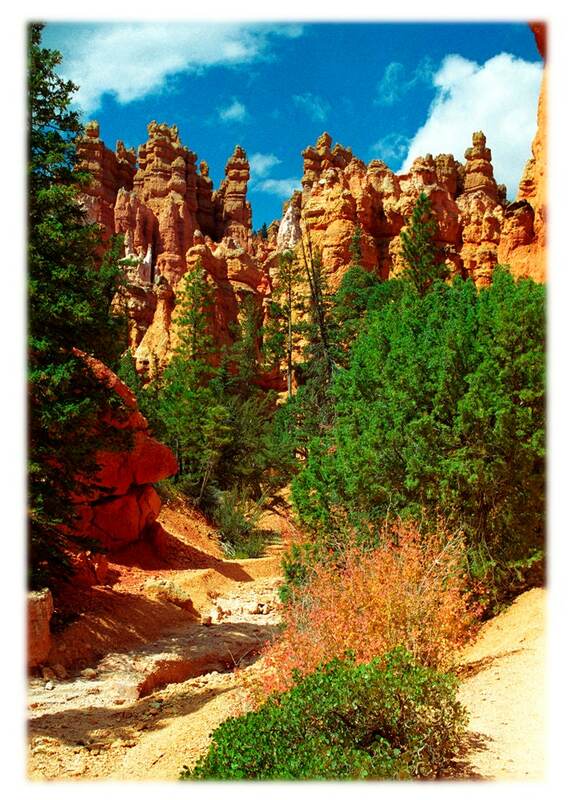 The spires are formed when ice and rainwater erode limestone, leaving behind dramatic spires of red rock. 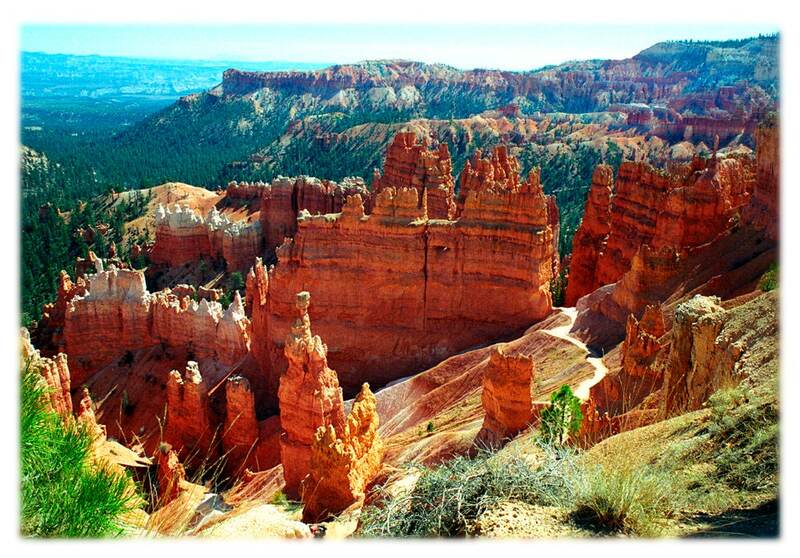 Bryce Canyon National Park was created in 1928 to preserve and celebrate this region of southwestern Utah. 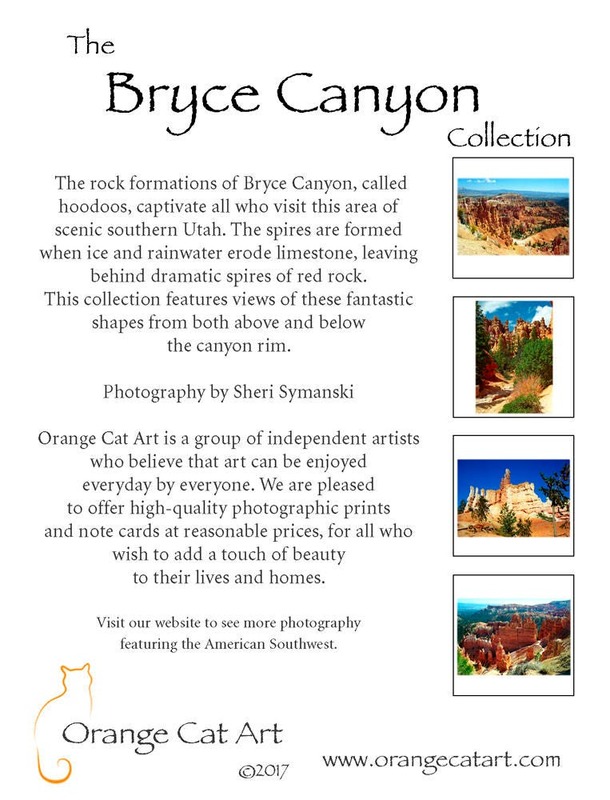 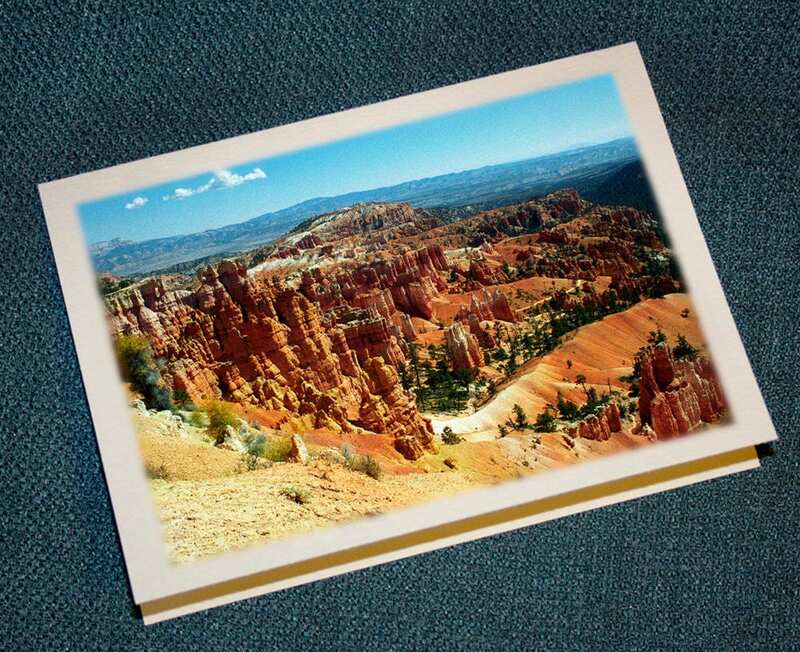 This note card set features four different views of these fantastic shapes from both above and below the canyon rim.